Burn injuries can be extremely painful and difficult to treat. Oftentimes, treatment for severe burn injuries can last the entire lifetime of the burn victim. There are specialty doctors and facilities that handle the treatment of burn victims. When prosecuting a lawsuit involving burns, it is important that the client has the right experts who understand the complex nature of their injuries to prove their damages and future medical care associated with their injuries. The San Antonio burn injury lawyer at Hill Law Firm has experience and success in making sure that client’s injuries are properly proven to a jury. Why Does the Type of Injury Matter in a Lawsuit? Burn injuries are the some of the worst injuries we see. A lawyer’s job is to make sure that they can communicate the extent of burns, nature of burns, and complications associated with burn injuries suffered by victims. It is important that the past and future medical care and costs associated with a victim’s burns are fully explained and proven to a jury when trying a case involving a burn victim. 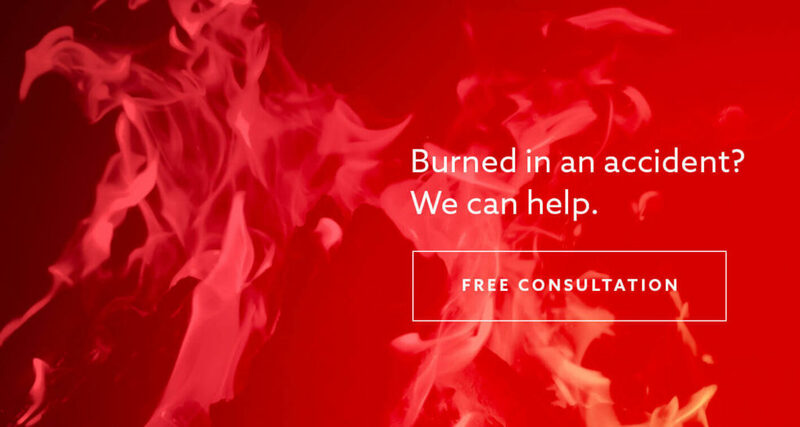 If you or a loved one has been burned, you need an attorney who has represented other burn victims in other cases. Our San Antonio personal injury attorneys have not only represented burn victims, they have fought for their rights and tried burn cases to verdict. What are the Treatment Options for Burn Patients? People with serious burns often undergo some of the most painful treatment imaginable. Patients in the burn unit of a hospital, may undergo exposure to painful liquid baths in “tubs,” endure painful skin grafts and debridement procedures. Often times healthy skin from other, unaffected areas of the body are used as “donor skin” for the burned areas. Recent technology has even allowed doctors to experiment with artificial skin and skin from animals, such as pigs, for burn patients. It is very important for someone with burns to undergo a complete mental health examination in addition to their physical treatment. Many burn patients suffer from depression, anxiety, and even post traumatic stress disorder (“PTSD”). A psychological consultation is critical for these patients. Why Hire Hill Law Firm to Represent Me for my Burn Injuries? Justin Hill routinely helps victims of burn injuries. The San Antonio burn lawyers at Hill Law Firm has had great successes at trial representing victims of burn injuries. If you are thinking of hiring an attorney to represent you in a burn case, please call the experienced and proven burn injury lawyer at Hill Law Firm.